Bring to your fingertips the power and benefits of Google Drive, combined with the advantages of a practical, user-derived back-up tool. 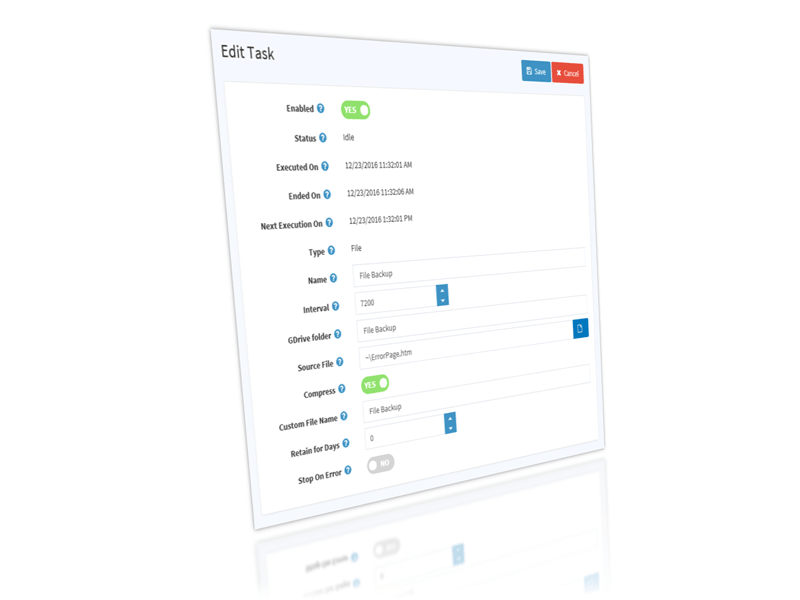 Having first created and used this tool for our in-house requirements and fine-tuning it for practical advantages, we now offer this to our customers as an all-in-one solution for managing their archival requirements for all active environments from within a single interface. Schedule automatic back-ups to start at specific times. Save costs by consolidating all back-ups in one place. Minimise effort by avoiding manual back-up of your database for every environment. Manage all back-ups in a single location. Take advantage of Google Drive’s reliable storage features with the ability to view history. Optimize storage space by using the compress & overwrite features. Use the in-App explorer to log in, browse, download and delete back-up files directly form Google Drive. Let us know if you would like a similar extension for other services such as Dropbox, OneDrive, Box etc. This back-up task is executed using Application user so you must have access to the files/folders to be backed up. For archiving a Database(s), the SQL Server should be able to take back-ups to the location to which the Application service account has access. 2Schedule individual back-ups to execute at specified times. 3Easily select individual file or complete folder for back-up. 4Easy to use interface to select and set up back-up. 5Back-up NopCommerce Database on which the extension is installed. 6Compress back-up to Zip file before uploading to Google Drive. 7Auto clean-up Google drive when using 'Retain back-up for days'. This will create multiple back-ups in Google Drive for given number of days and will keep deleting older back-up versions. This also cleans the Trash folder on Google drive. 8Share back-up with other Google Drive users directly from the externsion interface. 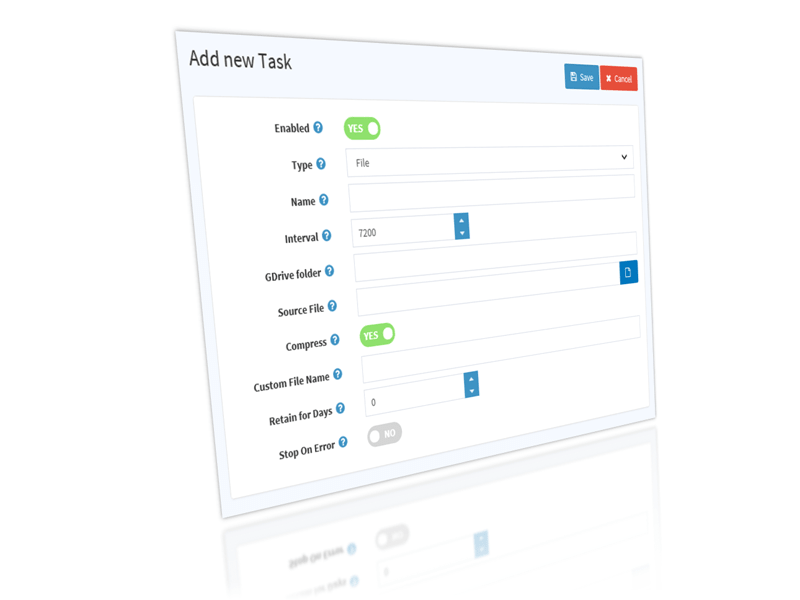 9Optional Auto Stop on Error to save server performance in case a task generates an error. 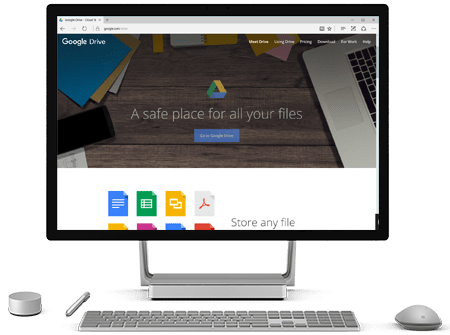 10In-built Google Drive explorer to manage, delete and download files from back-up service account. This helps users manage the back-up files from NopComerce screen without visiting Google Drive. 11Generate a comprehensive error log to identify and troubleshoot any errors occurring during back-up execution.